E-Sports or Competitive Gaming has seen quiet a surge recently and even in India, where Gaming as a career is look at skeptically, gamers have striven for and attained a global recognition in Pro-Gaming Tournaments. 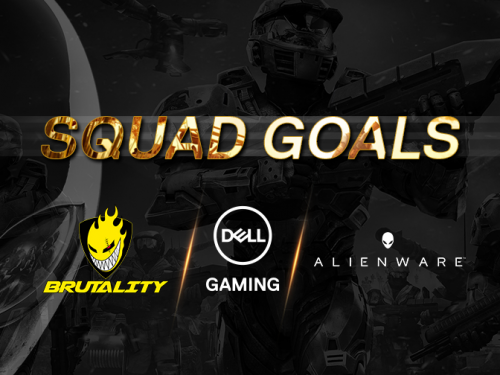 And, today we have with us team Brutality, an Indian professional eSports team that is a registered company with its CSGO, Tekken, Need For Speed, Track Mania Series, Forza Mortor Sports and various other racing games squads. Formed by a team of aficionados of CSGO, the team gained recognition in the year 2010 at Chitkara bringing down the Goliaths of the game of that time! 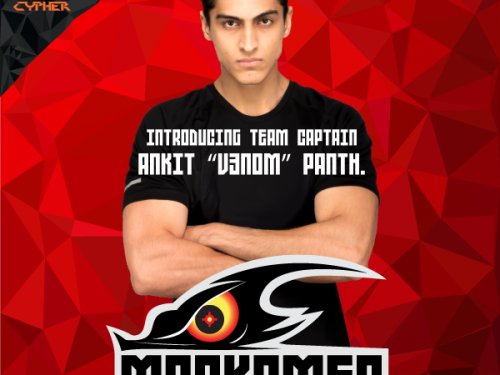 Team has just grown since then to become a leading face in the CSGO community in India with their reputation and stature preceding them. Brutality aspires to become one of the top teams in Asia, and are on the right track by just having entered ESEA Season 19 Asia Pacific League as the only team from India to qualify for this prestigious tournament. GC. What brought your team together? Brutality:- Brutality became Brutality with people carrying the same zeal and awesomeness coming together one day!! Ever since it has evolved greatly to learn and improvise with how the industry shaped. The main strength of the team is its passion driven love for gaming which still is the foundation of this team. GC. How do your family and friends react to taking up gaming as a career? Brutality:- Well they see the tip of the iceberg to be honest all due to a novice level of awareness about the gaming industry in India. I wouldn’t blame them either for what conclusions and perceptions they draw. So you see we get mixed reactions all the time and that comes from your close ones out of concern for you. However over time seeing how we’re doing they’ve evolved with us and are supporting the effort with the best of their ability. GC. What were your first games? Specially the ones that made you feel that this is what you wanted to do professionally? Brutality:- Unfortunately not all of us had the privilege of having their first game as their professionally chosen game. That’s because some of us started really early and some exactly at the time when Counter Strike was in its Silver phase of 1.6. So specifically referring to myself here, I had the honour of having my first played game in this industry to be my professionally chosen game. Played some badass CS 1.6 and learned a lot. Thankfully that version gave us each other and in turn each one of us gave Brutality to its existence!!! GC. What are the challenges you face pursuing e-sports as a career? Brutality :- Well this question has particularly has been put up to me and a lot of my fellow gamers by everyone we knew who never played games professionally. It has haunted a few and personally I’ve answered it a million times as a point of concern. to be honest in following the amazing road to gaming!!! Brutality:- I’ve always liked the inseparable and cult fan base of MMORPGs. I wouldn’t refrain from saying that yes MMORPGs have a bigger fan base than CSGO at this point. But in particular, I have always like DOTA and World of Warcraft. I am a noob at those ? but yeah liked the idea and concept and the ever evolving world they build. I really am not the patient solo gamer so no choice in that segment. GC. What have been the major highlights in your gaming career? Brutality:- The major highlights that hit my mind right now are the massive tournaments that we have played as Brutality’s lineup and won! I can name a few that I personally recall like Chitkara, WCG qualifier Pune and BYOC but every experience is equally EPIC to us as major highlights. And we envision us competing in bigger platforms than we currently are and winning. GC. Where do you see your team and the Indian e-sports scene moving to in the next two years? Brutality:- Indian E-sports has come a long long way since its plinth here in India. It is gaining the correct momentum now and with awareness reaching to the next level, I believe we have a huge leap we have to take that’s coming up. In two years it going to stand at a global stage and we will be equally recognized and rewarded as other countries. GC. What kind of tactics and approach do you use that helps you win? Do you have any tips for other aspiring players? Brutality:- Well, the tactics and approach depend on the players you have in your team. You need to see each and every players individual style and what is he comfortable doing. In our team the majority of the players have an aggressive gameplay so our strategies revolve around them. Our only tip to aspiring players would be keep playing with all your heart. If you believe in yourself and want to achieve that number 1 spot, you will have to work hard like you would do for any other target that you set for yourself. This won’t be easy and will require lot of time and dedication. But if you are committed to it, you will eventually do it. GC. What hardware do you use and recommend? 3310′ sensor which will give you an awesome experience while playing FPS games. For the keyboards and headphones we have the Madcatz tournament edition kit which is doing a great job for us. Apart from these we do use SteelSeries and Razer mousepads and Zowie Bungee. GC. Other than gaming, what all do you enjoy doing? Brutality:- Oh we do a hell loads of stuff than gaming which keeps us busy. Every player has their hobby and a favourite thing to do when off gaming. I personally have an inclination to fitness and music. RiX is more into calming his fast paced game style down with some MMORPGs a while. Astarrrrrr does a lot of clubbing, Kundya keeps himself sane with some outdoor photography and Petrichor keeps trying his research and development ideas on whatever that he finds interesting. So we’re bunch of interesting people with different likes and hobbies coming together as a kickass group. GC. What made you choose CS:GO as your primary game, why not Battlefield or Call of Duty, or any of the other big FPS titles? Brutality:- CSGO turned out to be our primary choice due to its simplicity of standing strong on its engine for years giving the max output of fun and yet keeping it as competitive as possible. I mean I have never seen any game put this little effort to give out such maxed out fun. I mean with all due respect, Call of Duty and Battlefield have their own set of fun and we don’t deny that. But if you could imagine like this, that CS since years has not done any high definition changes to the game nor has it spent a fortune behind its promotion. All it has done is kept its basics simple and kept slowly tweaking the changes they felt were needed. CSGO however took all of this fun to a whole new level without disturbing the basics of the game and only bringing it to the level of 21st century look and feel of games. Now again if you ask me, none of the other two games have lasted since years without changing much and yet giving so much fun at a competitive level. CSGO has a plethora of ways to amuse someone who hasn’t done gaming ever. You will fall in love with this simple grounded concept at the very first encounter. P.S: Don’t forget the first experience of having a HEAD SHOT!! ? GC. Anything else that you want to say before we end this ? 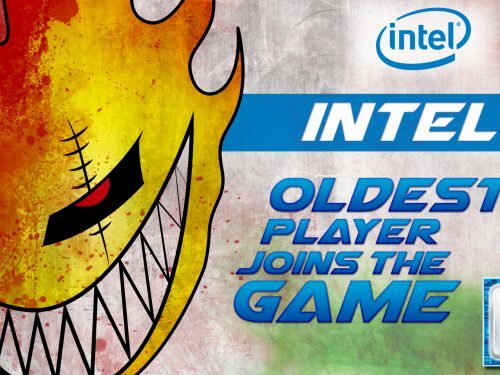 Brutality:- A huge shout out to all our sponsors Gunnar Optiks, Antec, Zotac, G2A and Zion Ram, our fans from India and abroad and Gaming Central for this interview.